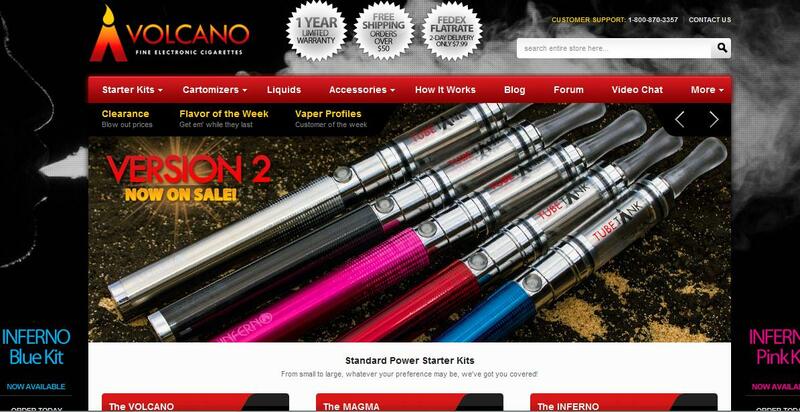 This week Volcanoecigs announced via their Twitter page that their newly redesigned website is up. From the looks of things, and from what I can recall from the last time I was there, it seems that pretty much everything has been redesigned. See the screenshot below. They've also added an age verification page that automatically shows up when first entering the site. And while one could realistically put in any birth date, it's definitely a good idea so as to let those under 18 years of age know that their business is not welcome. According to Volcanoecigs, they've also added two new features to the site: "Flavor of the Week" and "Vapor of the Week". And though I couldn't find a link anywhere for Vapor of the Week, the link for Flavor of the Week is situated pretty prominently on each page. So What's This Week's Flavor of the Week? 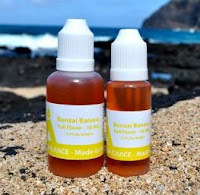 Bonzai Banana - Their Bonzai Banana e-liquid flavor is a candied banana flavor, and is a very close representation of a banana flavored runt candy. And according to Volcanoecigs, it's "a near perfect mixer with our Cherry Lava and Grape Escape flavors!" Nicotine Strengths: Like their other e-liquid flavors, Bonzai Banana is available in four different nicotine strengths: Extra High (24 MG), Full Flavored (16 MG), Lights (8 MG) and Zero (0MG). Volcanoecigs is a well-known brand in the e-cig industry. They offer a wide variety of starter kits, cartomizers, e-liquids and accessories, and are probably most known for their very popular LAVATUBE. Be sure to check out Volcanoecigs today and see if they have what you're looking for. There's a good chance that they will. The LAVATUBE Now on Sale! Hot E-cig Deals, Discounts and Coupon Codes! Vapor Couture Review - E-cigarettes For Women!